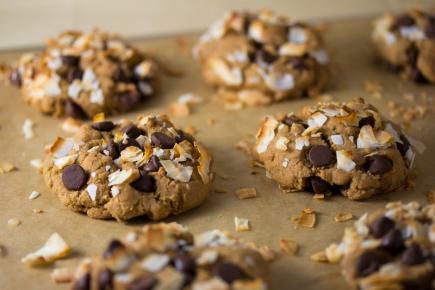 Vegan baking can be a daunting task, especially to those new to the scene of dairy and egg substitution. Soy milk and almond milk are readily available options, and there is margarine as a fool-proof alternative to butter. But how do we replace eggs? The trick is to understand what role eggs play in the recipe before substituting. Egg is a fantastic binding agent. It increases the water content of the mixture and gives it a firm, sticky, and smooth texture. Commonly used in forming patties and dough, here is a selection of vegan alternatives to eggs. Mix together one tablespoon of ground flaxseed with three tablespoons of hot water to create a gelatinous and viscous gel. 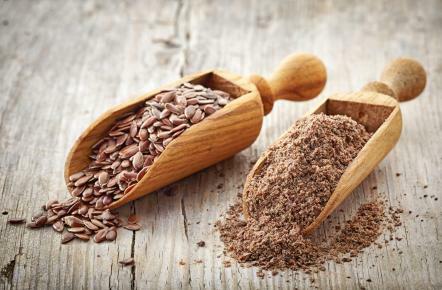 Rich in omega-3 fatty acids, dietary fibre and protein, flaxseed is a nutritious substitute for eggs. It also works great as a leavening agent in cakes. Try it with this vegan red velvet cupcake recipe. If you can’t get your hands on the healthful seeds, some simple pantry must-haves could save the day. Combine two tablespoons of potato starch or corn starch with 100 millilitres of water, and thicken over medium heat. This method is widely used in traditional Cantonese cuisine to create a thick soup or glaze stir-fry. With a sticky texture and a consistency that resembles egg white, it is the perfect replacement for eggs. Sometimes our sweet treats just need eggs for that irresistible rich and gooey texture. Notice how some recipes always ask for an extra yolk? That's because when eggs are cooked in the batter, they firm up while retaining moisture and chewiness. But fear not—here are some vegan options to cure your insatiable brownie cravings. Mash a ripe banana to replace an egg and add hint of sweetness. This is a technique commonly used in pancakes, brownies and sweet breads. For a richer and more buttery texture, use an avocado for extra creaminess. Tip: if you are not a big fan of these fruits, mask their flavours by using them in a chocolate recipe! 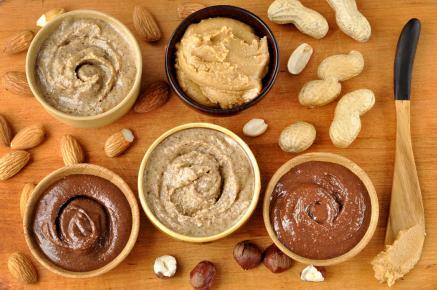 Use three tablespoons of nut butter instead of an egg to give your treats a delightfully creamy and moist texture, and a subtle hint of nutty fragrance. Though it works best with cookie dough due to its stickiness, simply add some extra vegan milk to cake batters for a runnier consistency. 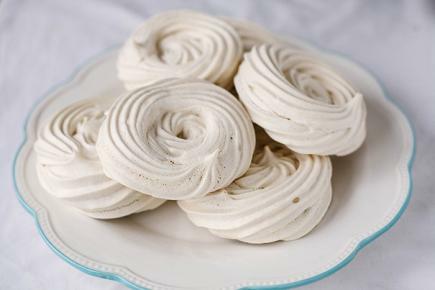 It is the trickiest feat of all: making delicate meringues without egg whites. Be it to decorate a delicious lime pie or to fold into the batter of a fluffy Japanese cheesecake, we’ve all come across recipes that need this extra touch. Believe it or not, it's possible to make meringue with plant-based ingredients. Aquafaba is the leftover cooking liquid of beans. The starch and protein released during cooking give the liquid its foaming and emulsifying properties. This means it can trap air easily and be whisked into a foamy consistency. Simply drain a can of chickpea and retain its liquid. Combine one part aquafaba with one and one-third parts sugar, and whip until it forms a firm peak. Don’t forget to check out PETA’s illustrated vegan guide to replacing eggs for more eggscellent ideas and tips!